As you tour the countryside, nothing will be more handy to have than this Hideout Single Axle travel trailer! 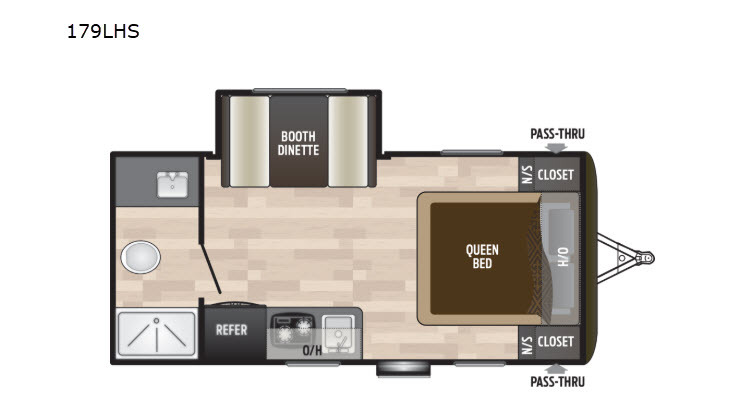 With its queen-size bed and booth dinette, this unit can sleep three people comfortably no matter where you vacation, and the single slide is what opens up the interior and allows you to fully enjoy your time spent inside. 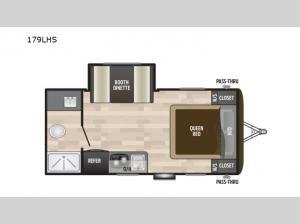 Since the large bathroom is located in the rear portion of this trailer, you will have an extra bit of privacy as you get ready each morning.